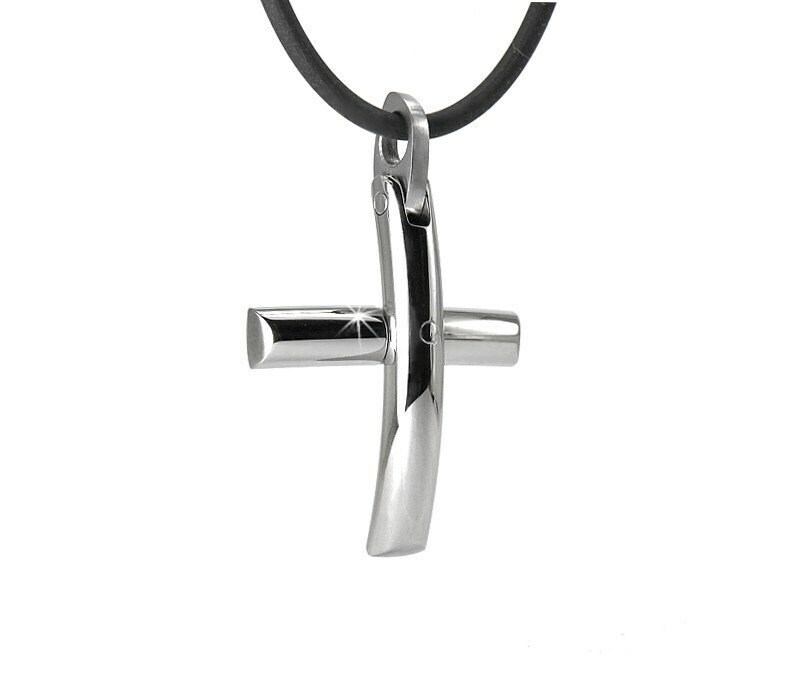 Modern Trendy High polished Stainless Steel Cross Pendant. 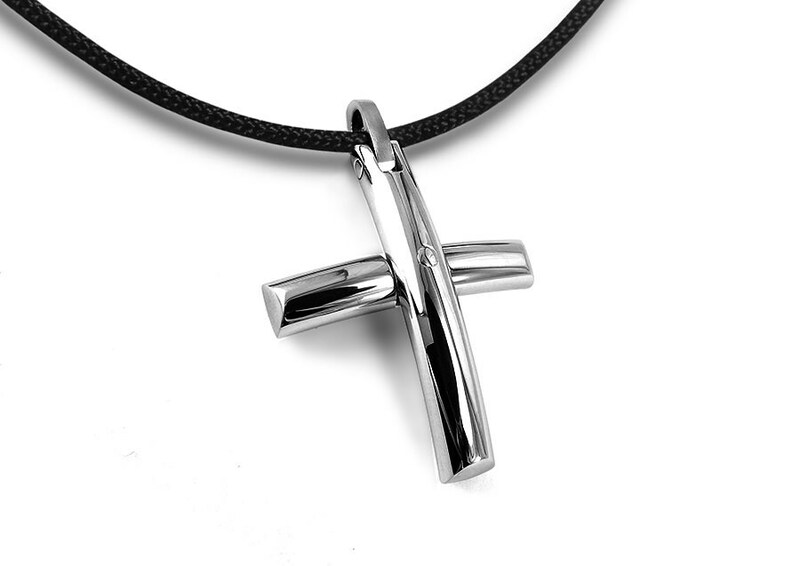 Totally hand made with a Unique innovative technique: This exclusive Cross Design doesn't contain any soldering material, the parts are locked together just by tension and compression of the metal itself. Measurment: 1 3/8" X 1 3/16"
both with lobster clasp. Length availabe from 14" to 26"
You can view both options in the images above. 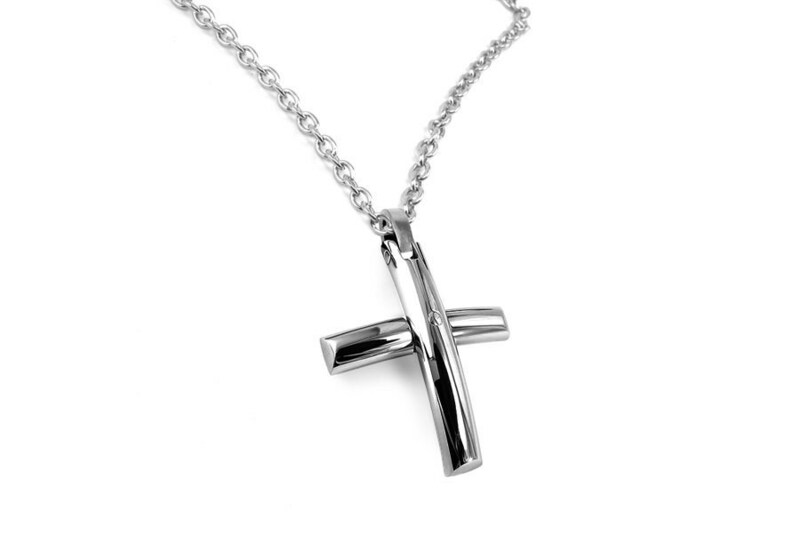 Note: This Necklace is MADE TO ORDER: Don't forget to Indicate the length In the "message to seller" Please allow 7 to 10 business days to ship - Free USA Shipping. Beautifully crafted. Heavy and very attractive. What a beautiful Cross. I was so pleased with it. The seller was very prompt in responding to any of my questions and was a pleasure doing business with.